It’s the beginning of a new year, and just as New Year’s resolutions are coming into play, so are office design renovations. 2018’s office designs focused heavily on creating a space that resembles the comfort of a home, whilst still remaining professional. Biophilic design was also introduced, making the most of nature. 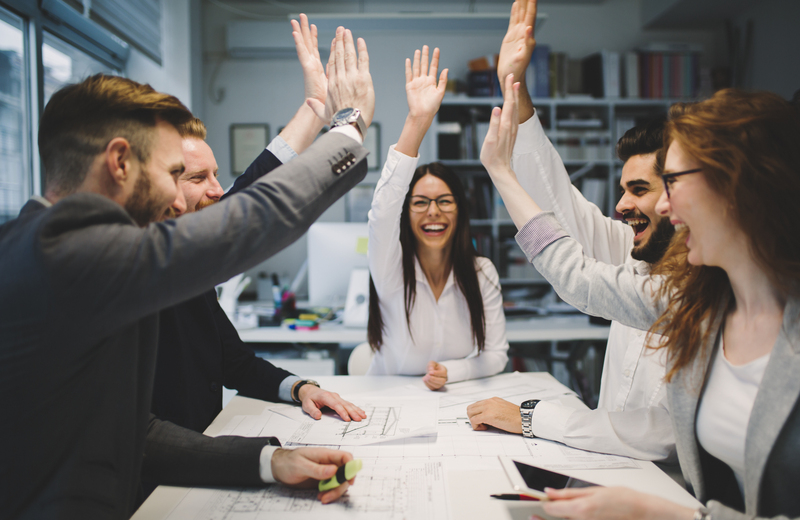 Whilst these trends are continuing into 2019, the emphasis on employee happiness, satisfaction and morale is higher than ever. With workspaces to suit all working styles, massage therapy and sit-stand desks falling amongst some of the latest trends, 2019 office design is all about satisfying employees’ mental and physical needs. 2019 office design is all about satisfying employees’ mental and physical needs. 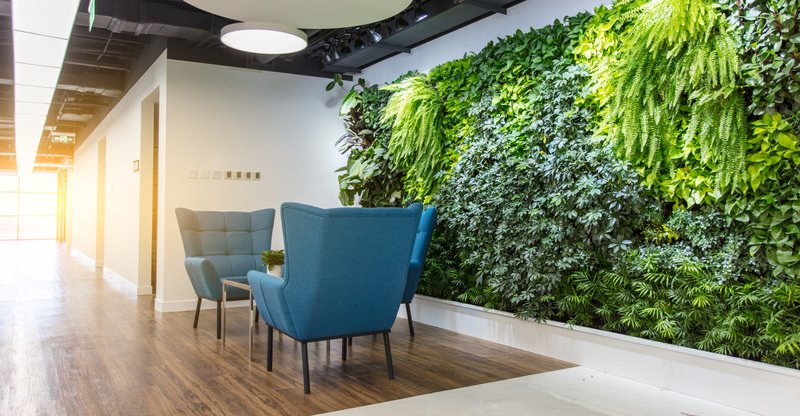 Introduced in 2018, biophilic design has become a popular choice of decoration in offices. Amongst their countless health benefits, plants are cheap and easy to maintain. Working to reduce carbon dioxide levels and other pollutants, plants purify the air helping people to breathe more easily and work with a clearer mind. Indoor plants are also known to reduce stress levels whilst increasing productivity and overall mood. Feature walls are also increasing in popularity, with moss walls providing an easy and functional way to not only incorporate nature, but also add a pop of colour. Biophilic design has become a popular choice of decoration in offices. When considering the layout of your office design, in order to conform to the latest trends it’s important to think about the individual needs of your employees. Whilst some prefer seclusion and quiet space, others thrive in an open, collaborative atmosphere. 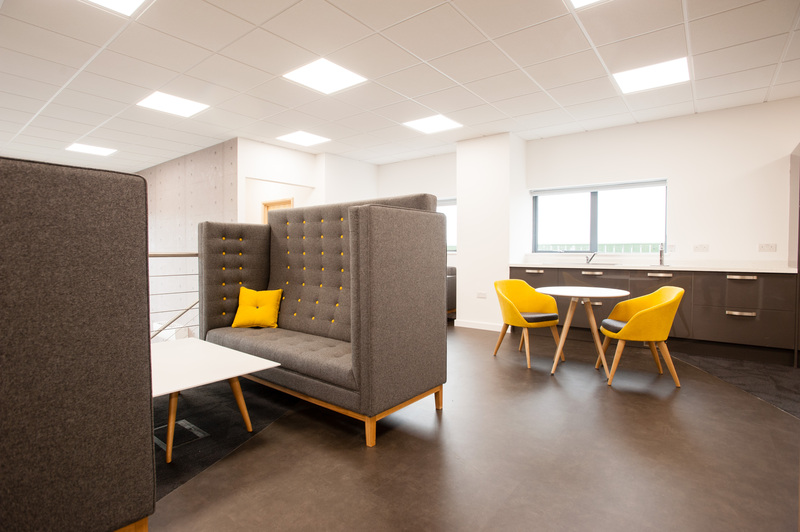 It’s therefore crucial that the workplace includes aspects of both; whether this is through having a ‘quiet’ room and a collaborative room, or creating an open-plan office that has quiet booths that can be retreated to. Other furniture items can also be replaced for more modern, employee-friendly alternatives – this could include sit-stand desks to discourage long-term sitting. Similarly, portable wall dividers can help to create privacy when needed. 2019 is also seeing a rise in converting old or aged items, which can involve the use of antique textures, glass and metals or flooring with an abstract design. In order to conform to the latest trends it’s important to think about the individual needs of your employees. Bright colours are set to make their way into 2019 offices, sparking creativity and happiness. Green and other natural colours are also becoming more popular within the design, helping to stimulate productivity levels. It’s also essential that whilst colours are chosen, brand awareness is being kept in mind; be careful to choose colours that stay true to your ethos. Bright colours are set to make their way into 2019 offices. 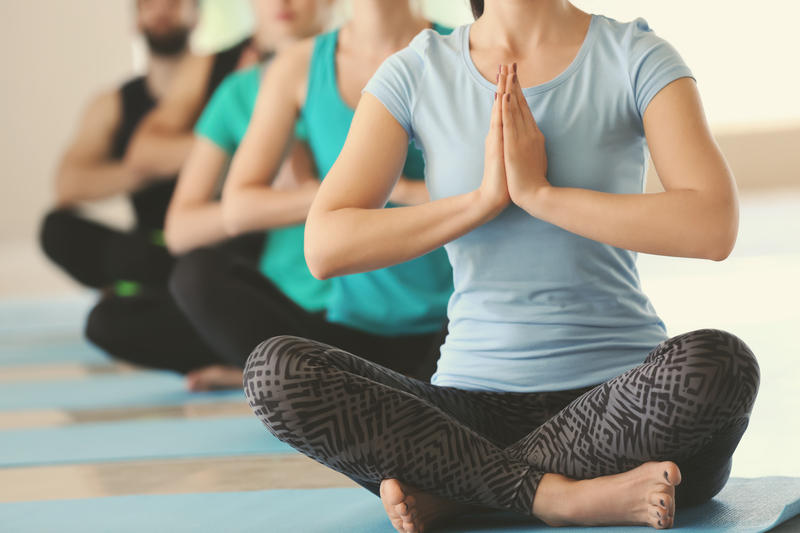 Developing employee wellness, boosting morale and driving happiness is becoming an ever-important aspect of workplace culture. There are many ways in which this can be assimilated into office design, including creating spaces for quietness or meditation, and incorporating coffee/tea bars and entertainment areas such as a games or sports room. Developing employee wellness, boosting morale and driving happiness is becoming an ever-important aspect of workplace culture. Here at Cobus, we’re passionate about helping our customers create a space that not only conforms with design updates, but also speaks to their personality and brand philosophy. Please click here to get in touch with one of our designers.